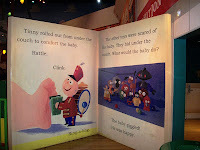 Sitting in the corner of Andy’s Room, also known as the loading and unloading zone of Toy Story Midway Mania in Disney’s Hollywood Studios, is a picture book of the Little Golden Book variety that has been tossed aside and left sitting up and open. 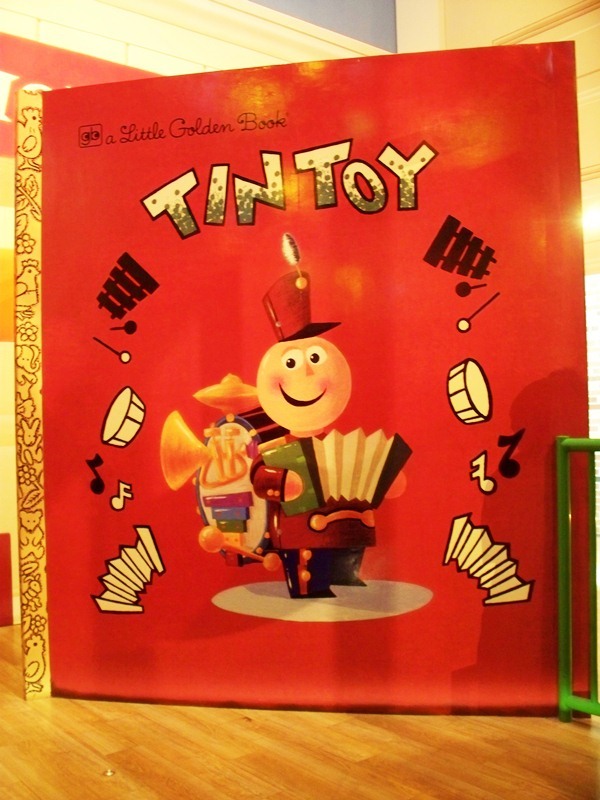 The title of the book is Tin Toy and features a tiny tin one-man band smiling on the cover. The tin man band is known as Tinny and he is the main character in Tin Toy, the 1988 short from Pixar. The cartoon also features an infant known as Billy and a variety of other toys. In the short, Tinny is thrilled at be played with by Billy, but soon realizes just how rough Billy can be with toys. After fleeing under the couch, Tinny finds a collection of other toys that are also frightened by Billy. Billy falls and hurts himself and begins to cry, while the other toys continue to cower under the couch, Tinny finds himself ashamed and feeling sorry for Billy. He rolls out and cheers Billy up, who in a fit of giggles throws Tinny and instantly becomes more interested in the toy container than Tinny himself. An irritated Tinny chases after Billy, trying to get his attention back, as the cartoon comes to a close. Pixar, a division of Apple in 1988, was in a dire financial strain when Tin Toy was conceived. It took the showmanship of John Lasseter to convince Steve Jobs to personally extend Pixar the nearly $300,000 it would need to complete the short. It would be the first time that Pixar would attempt to construct a human figure in an animated environment which, along with the interaction between toys and children, would serve as a foundation as the group moved towards the animated feature, Toy Story. 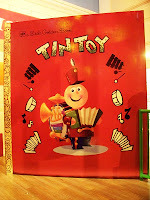 Tin Toy would go on to win the Academy Award for Best Animated Short in 1989. While it may just be a discarded picture book in Andy’s Toy Story Midway Mania room, Tin Toy is a unique and critical juncture in the history of Pixar, and is well deserving of a nod in the attraction! This is so cool on two levels: Awesome tribute AND giant Little Golden Book! Love the way the book looks aged and well-loved.